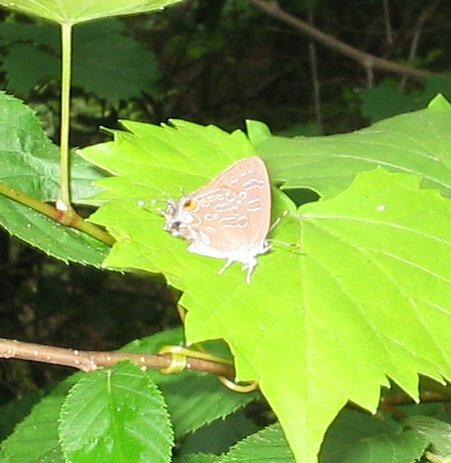 Striped Hairstreaks are found in deciduous woodlands near creeks, resting on leaves approx. ten feet up (or less), often in the shade. 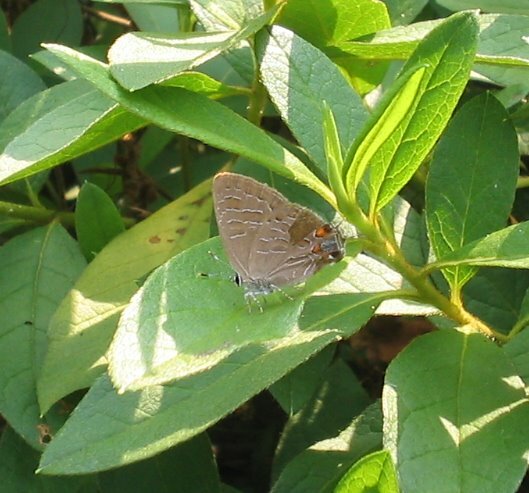 I have also seen them in fields, ascending the dewy blades of grass during the morning hours. Flight: mid May - late June/early July. 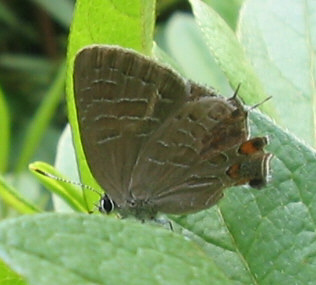 Wingspan: 27 mm (male) to 32 mm (female).